Tie off and leave a long tail for sewing onto the bomb. Cut the yarn, leaving a long tail, and weave through those last 6 stitches and pull tight. Tie off. Take 8 inches of red, yellow, and orange. Sew it through the top of the wick and knot it off. With the remaining hanging pieces, separate the 4 plys and kind of rub them between your fingers. They more they are blended together, the more they look like a flame. 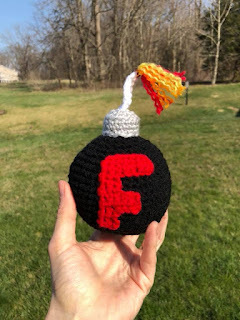 There you have it, a perfectly made F-Bomb. These little balls of joy are perfect for that most frustrating moment, when you still want to be professional. Throw it at a coworker, have a snowball fight of sorts, toss it at your kids when they are being jerks (just kidding, kind of!). Whatever your need, I'm sure these bombs will help you out in many ways. Enjoy! Thank you for this. I have made several, adding some variations. I used a stress ball instead of stuffing. They come in handy at work and for a friend going through cancer. I made the F and added a ribbon in the color cancer she is fighting. Thank you so much again. Thank you so much. I'm involved in a large project at work and was trying to find something to give out to winners of a cleanup challenge we are doing. 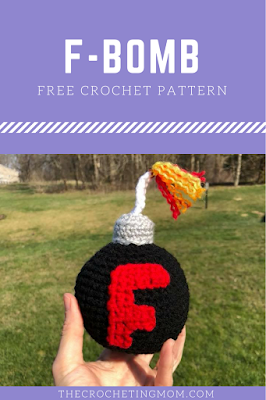 This is perfect and your pattern is excellent. It is very nice of you to provide this free. Do you have any tips for sewing the top on? Mine are coming out really messy. I'm not used to seeing stuff after the article is stuffed. Do you use yarn or thread? Thanks for this! 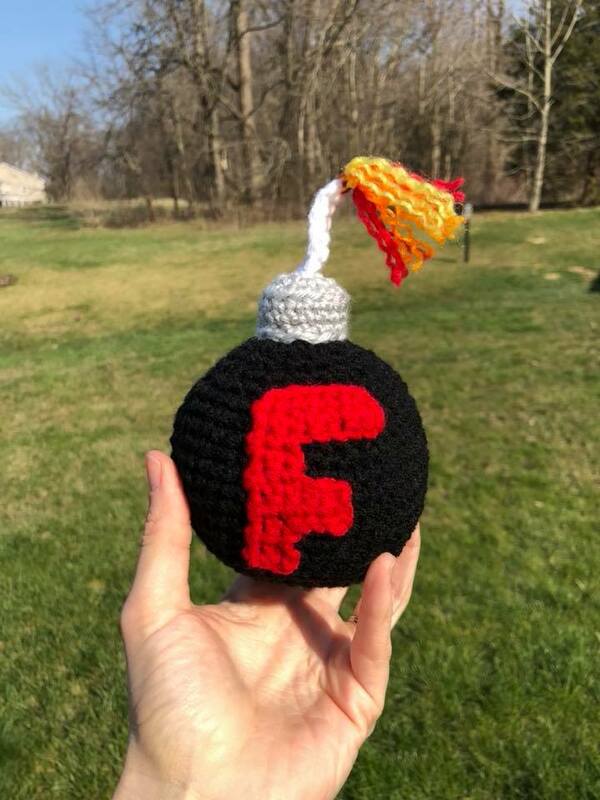 I am currently making my husband sports themed F bombs! I am excited!